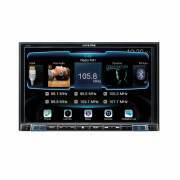 Alpine X208U navigation receiver boasts a generous 8″ touchscreen display for album info, maps, and even watching video when parked. 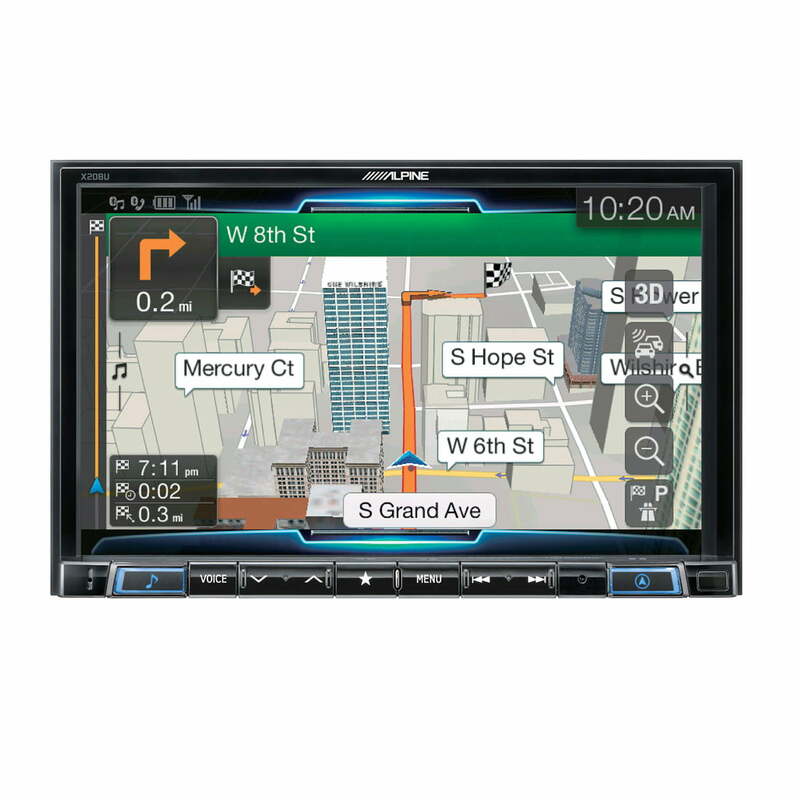 Alpine’s added more user-friendly features, like compatibility with their Alpine Connect app and a more finger-friendly interface. And while it won’t be able to play your old-school discs, it does offer killer smartphone integration, thanks to Apple CarPlay and Android Auto™ compatibility, so you can get the most out of your phone as you drive. With a dedicated navigation system plus plenty of sonic extras, this multimedia command center’s ready to give your dash the upgrade it’s been asking for. Apple and Google mapping applications are pretty popular, but good luck finding your way around if you’re in an area with no phone service. 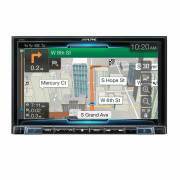 The X208U features built-in GPS guidance, so you can take advantage of its maps on the 8″ display while enjoying access to 6 million points of interest and detailed road maps all across the entire U.S. and Canada. You’ll also have time-saving aids like lane guidance, realistic views of complicated interchanges, and 3D representations of buildings, landmarks, and terrain to help keep you on the right path. You’ll also receive real-time traffic reports in most metropolitan areas for as long as you own the stereo, at no additional cost. Built-in Bluetooth allows you to use the X208U for hands-free calling and music streaming through your compatible phone. 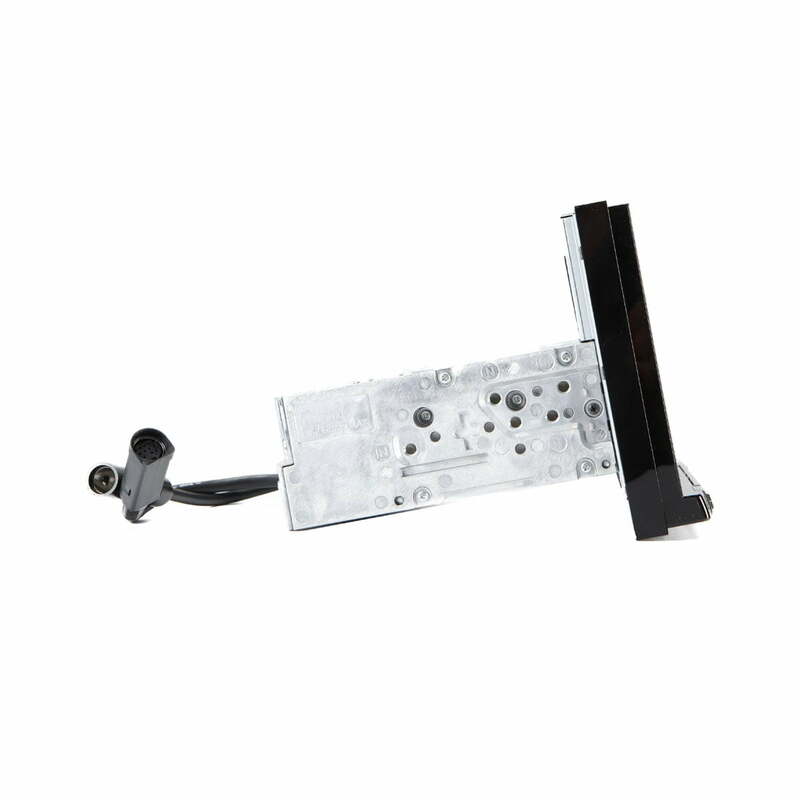 The large touchscreen buttons for dialing and volume promote convenient operation. Alpine includes an external microphone to maximize the fidelity of your conversations. The X208U has a dedicated “Voice” button, which engages Siri voice commands for Apple or Google Voice™ for Android (depending on which kind of phone is paired or connected with the receiver). You’ll be able to engage any number of tasks via Apple CarPlay and Android Auto with your voice, so you can keep your hands on the wheel and eyes on the road. The Alpine Connect smartphone app lets you explore more as you travel, with content from iHeartRadio, including news, sports, talk, comedy, and a wealth of music channels. The app also incorporates helpful info from Yelp! and Glympse when it’s time to find a new spot for food or shopping. It’ll even work with your Spotify account to offer in-dash access to your streams. 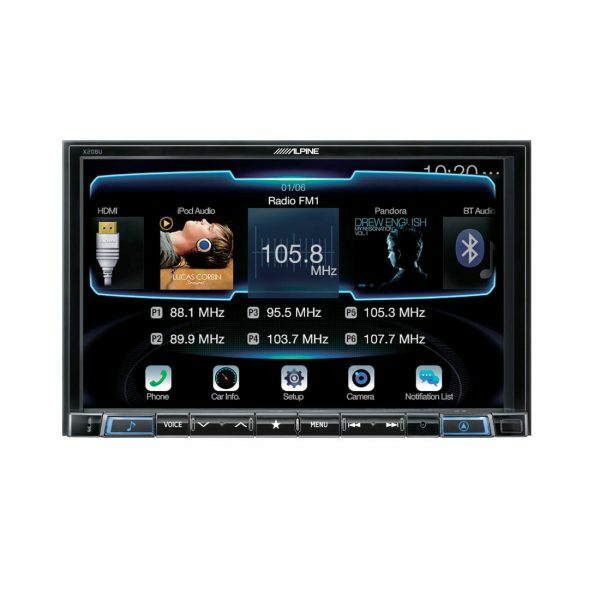 Alpine’s audio engineers have loaded special Sound Parameters Settings into this receiver for all the vehicles covered by Restyle packages. You pick the one that matches your vehicle to get sound that’s custom-EQ’d and time-corrected for your vehicle’s acoustics. Tailored sound, no tweaking required. And speaking of great sound, this Alpine lets you play FLAC audio files from your thumb drive, so you can enjoy your lossless tunes as you travel. 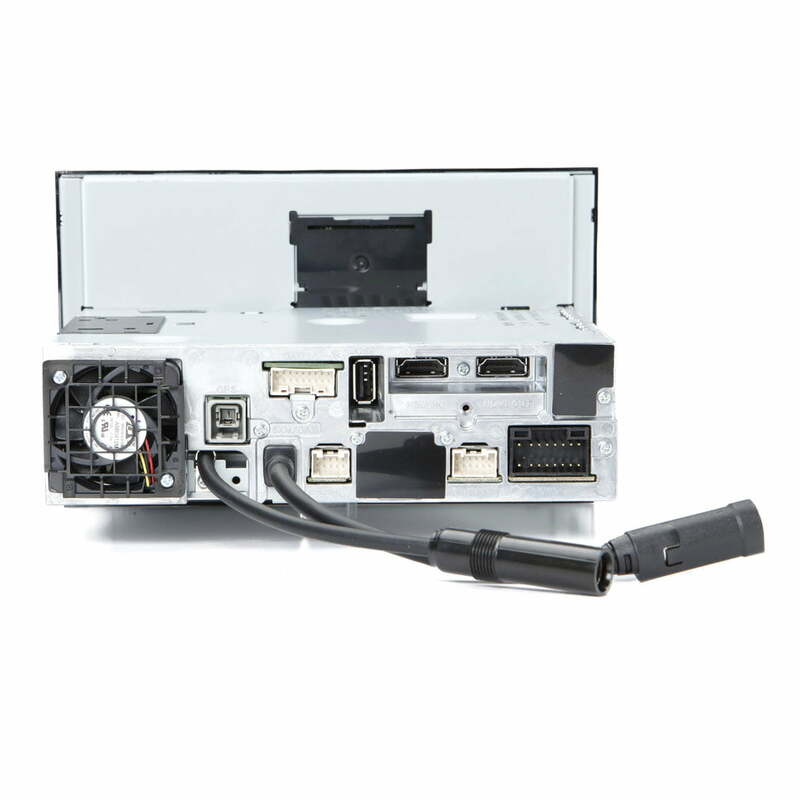 If you’ve loaded your vehicle with add-ons, the X208U’s got you covered. The optional Accessory Control Module enables simple system expansion, allowing touchscreen command of up to 8 electrical devices like winches, LED lights, interior lights, suspension kits, and powered bed covers. It’ll even let you control your compatible truck toolbox lock remotely. You can customize the onscreen icons and button labels, so you’ll be able to access your devices with ease.